Home / Private Parties – hens, stags and birthdays! 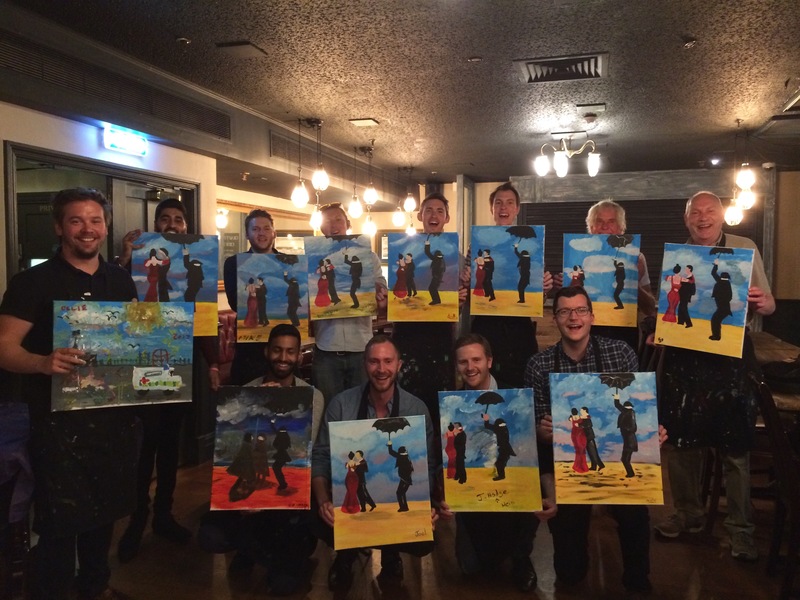 PopUp Painting offers a unique way to celebrate special occasions with friends, family and with your colleagues! with wine, is a memorable way to start the party off! 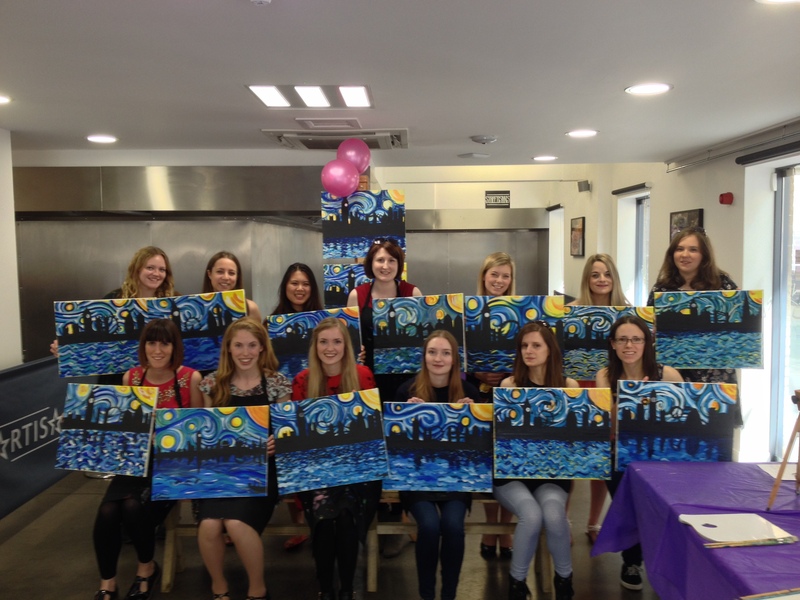 You can choose a Banksy, a Van Gogh or anything you fancy that floats the boat of your Hen! Events last about 2 hours and can include refreshment packages. We can source the venue for you or come to yours. We can customise events for you. If you fancy painting a picture of your Hen’s husband to be just let us know and we will work with you to make the event just what you want! 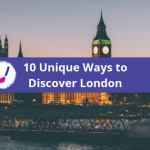 As experts in event planning, – we can help source a venue with one of our range of partners to ensure you get a day to remember and we won’t charge you an extortionate organising fee! 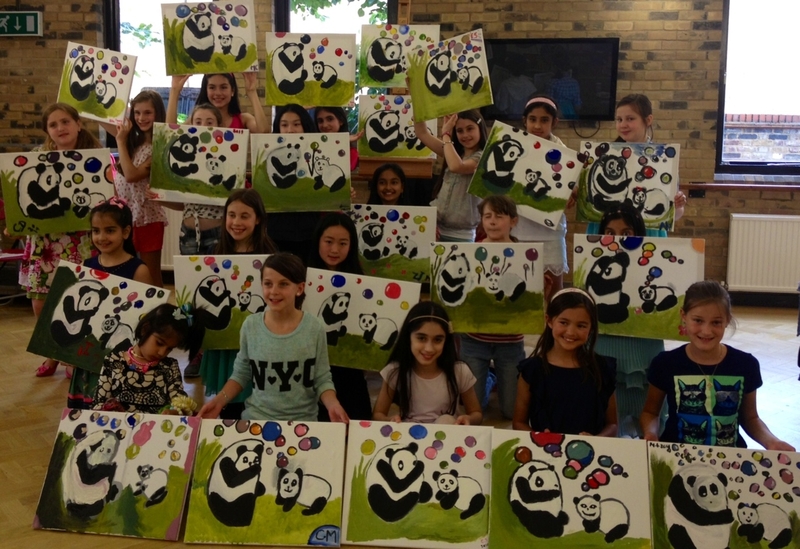 A private PopUp Painting party is a great way to mark the date, especially if the event is themed to suit the birthday guest. This event is suitable for children and for adults and includes all art supplies, venue (where required) and music. 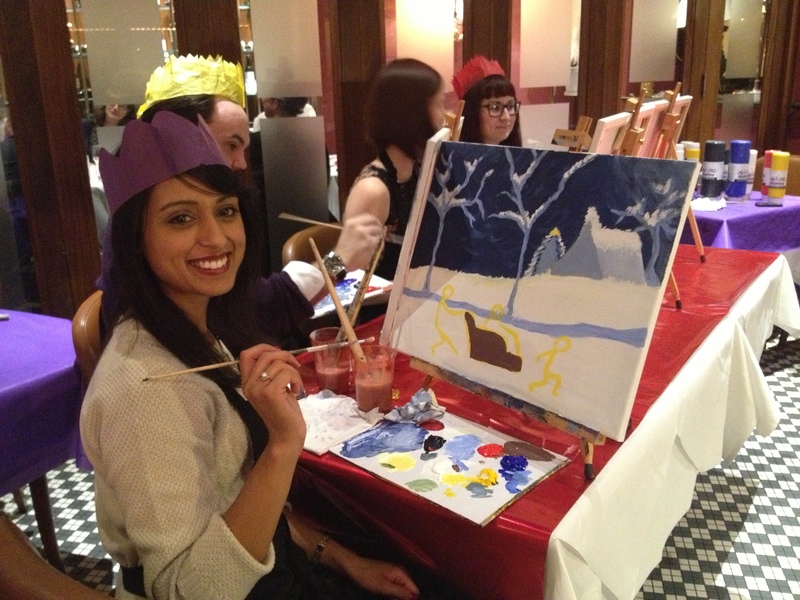 If you fancy a different kind of Christmas celebration this year, then a PopUpPainting event could be just what you are looking for. 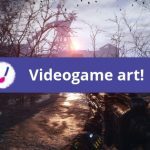 Create a festive painting for a home decoration or as a perfect unique gift. Events include festive music and will be themed to suit you. 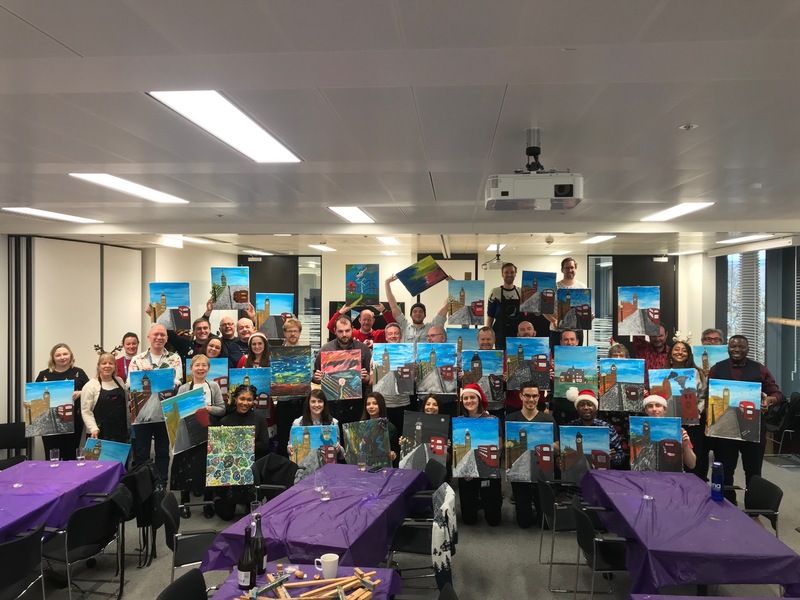 "The PopUp Painting team were great to work with and the session was at the right pace and tone. The arrangement of the room worked so well too – everyone was encouraged to mix-up. We all walked away pleased having done something a little left-field compared to the usual thing. Thank you all again and we wish you a happy festive break (although appreciate this is your busiest time!)." Our prices are very competitive and depend on venue. Prices also depend on the day of the week and the volume of guests. Please note Saturday venues are more expensive and more difficult to source. We cater for groups of 10 – 50. We are a popup organisation so can come to you or help arrange an event in a venue nearby. If you’ve got any queries or would like to make a booking please write to us at info@popuppainting.com. detailing the number of guests, the date and time of your event, details of the venue and your budget. We need one month’s notice for bookings.